Great price, excellent service and prompt delivery. 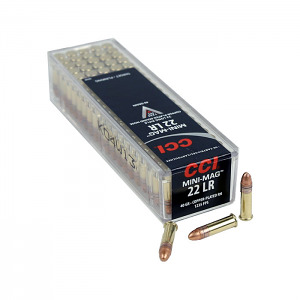 I did lots of research on which 22LR ammo is best, as 22 pistols tend to be very fussy and jam if it doesn't like the ammo. Lots of articles and forums recommended the Mini-Mag 40gr 1235 fps specifically. I've shot 60 rounds so far with it, and there wasn't a single jam, just like people said. So far so good! The price here is also excellent, even with shipping it's a little less than my local Walmart with tax.